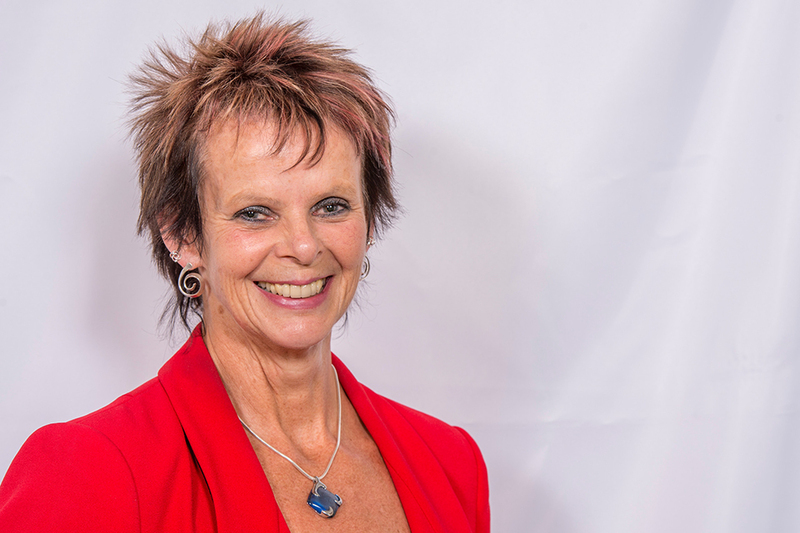 Below is the text of the speech made by Anne Milton, the Minister of State for Apprenticeships and Skills, at the Bett show in London on 24 January 2018. Welcome. It is fantastic to join you all for this conference marking both the opening of Bett 2018, and the closing of the Education World Forum (EWF). I’m sorry that our new Secretary of State couldn’t make it but some of you will hopefully have heard his speech at the EWF earlier this week on preparing students for success in our fast-changing world – for what has been called the fourth Industrial Revolution. Our lives are becoming inextricably linked with technology. From the health and fitness trackers or smartwatches that many of you are probably wearing to some of the amazing innovations on display here today. And yet – in 2017, Lloyds Bank reported that 11.5 million people in the UK lacked basic digital skills, and the Office for National Statistics estimated 9% of people had never used the internet. I want to focus on what we are doing at every stage in education to develop the digital skills we need to help us address these challenges. Starting in schools. We recognise that EdTech can play a vital role – as a tool for teachers in our schools, colleges and Universities. And as a study in itself for students. Technology should reduce teacher workload. It should be another way of making education more accessible and inclusive. It should allow educators and students’ access to share content through cloud based services. The UK is at the forefront of Edtech – and many great British companies are represented here today. The UK is a global EdTech hub at the forefront of technological developments and discoveries; constantly developing innovative new learning methods and technology. Half of Europe’s fastest-growing education technology companies are based in the UK, and there are more than 1,000 EdTech ventures spread across the UK, with 200 in London alone. Proper implementation is key; as with any intervention, the most successful changes are led locally with the sector to make sure you have the information and skills you need to make the right decisions for you and your institution. We want to support classrooms and institutions up and down the country to harness its potential effectively. But connection is critical so we announced in the autumn budget that children from 100 schools would be the first to benefit from the local full fibre programme, using poorly serviced schools as a marker for where to focus expansion of the national full-fibre network. 90% of new jobs require digital skills, so children need to grow up as more than just digital consumers but practitioners and creators. Also, we announced in the Autumn Budget that we would invest £84 million of new funding over the next five years to improve the teaching of computing and drive up participation in computer science qualifications, particularly amongst girls. This includes increasing the expertise of up to 8,000 existing computer science teachers and a new National Centre for Computing Education. This additional investment builds on the curriculum reforms we have already made. This is a step-change from the previous approach, and includes challenging new content such as coding and algorithms, providing students with the basic building blocks they need to move on to successful further study or work. We are currently implementing major systemic reforms in vocational education. Improving our digital skills sits at the heart of these reforms – already exciting plenty of interest and enthusiasm from students and employers alike. July 2017 saw the first degree apprentices’ graduate, with 11 gaining a BSc (honours) in Digital and Technology Solutions. We also have in place a suite of new apprenticeship standards to address employers’ digital skill needs at intermediate and technician levels. There will be a specialist digital route, and in November we announced the membership of our industry panels who are already working to define the knowledge, skills and behaviours that individuals require for employment; we’ve lined up a strong mix of individuals from across the sector, with input from Fujitsu, IBM and Accenture. Government will also work with industry professionals to ensure relevant digital content is included in all routes. Our commitment to reforming technical education is underlined through our investment in this area. In last year’s Spring Budget, we allocated an additional £500 million per year for T levels, which will help us to match the excellence of our world-leading higher education system. But this is a fast moving sector so apprenticeships and T levels will need dynamic content that constantly keeps up with changes and innovation. Whilst our global reputation for digital technology is richly deserved, we will work hard to keep up. So we are determined that the new specialist institutions will play an essential role in training the digital leaders of tomorrow. Ada is one. A new specialist further education college that works with industry to design and deliver an education that empowers all students, women, those from low-income backgrounds – to progress into highly skilled digital roles. The college opened its 6th form in September 2016 and took its first apprentices in May 2017. Over its first five years Ada is aiming to train up to 5,000 students in higher level skills for a wide range of digital careers, such as software and database developers, user experience designers and tech entrepreneurs. The target is that 50% of these students will be women and 50% will be from low-income households by 2021. In December, we launched a competition for areas across England to bid into a £170m fund to establish a network of 10 to 15 prestigious Institutes of Technology. They will be a new type of institution involving FE providers, HE providers and employers working together. The Institute of Coding is an initiative to establish an institute to serve as a national focus for improving digital skills provision at levels 6 and 7. In the Autumn Statement 2015 the Government announced a new £20 million fund to improve higher level digital skills. The fund will establish joint collaborations between universities and businesses and focus on computer science and digital skills in related disciplines that employers need. The winners will be announced shortly. But we need to make sure that the enthusiasm our students have for digital skills and learning is translated beyond the classroom and into the workplace. We aim to tackle some of the misconceptions around jobs in the digital sector by improving the quality of careers advice our young people receive. We published a new careers strategy in December 2017, which included proposals to increasing young people’s contact with employers, especially in relation to STEM subjects – allowing them to see how enjoyable and fulfilling these jobs can be first hand. The careers strategy needs to be more than a document. We need to dramatically expand, the breadth and effectiveness of current careers provision in schools and colleges on all subjects but specifically STEM. We have produced a ‘what works’ and a toolkit for use in schools and colleges. Digital exclusion is a huge challenge. Those 11.5 million people without basic digital skills need to get them. This is why I am delighted to confirm that we will introduce full funding for basic digital training for adults from 2020. Technology is also key to distant learning for those whose geographical location makes it difficult or for those for whom learning digitally is more intuitive. In the Autumn Budget, we announced that will invest £30 million to test the use of AI and innovative EdTech in online digital skills courses so that adult learners can benefit from this emerging technology, wherever they are in the country. This Government wants everyone to get the digital skills they need. We need to hear your ideas, answer your questions so we can make this happen.